UNICEF Goodwill Jackie Chan arrived on the red carpet with two stuffed panda bears and his Richard Mille RM JC Tourbillon with white rubber strap. In 2011, the action movie star & philanthropist commissioned the Richard Mille piece unique for a charity auction that helped raise $5 million for his Dragon's Heart Foundation. 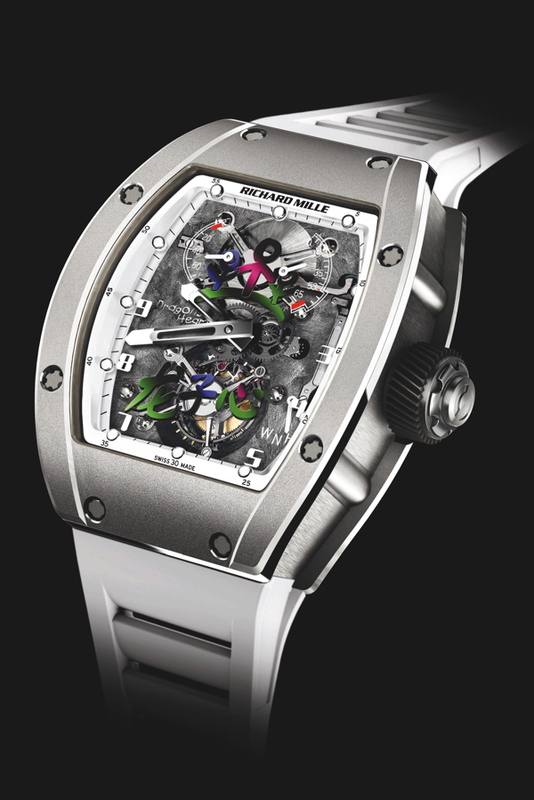 The white gold case is formed in the signature Richard Mille tonneau shape, with a unique dial that represents Jackie Chan holding the hand of two children. 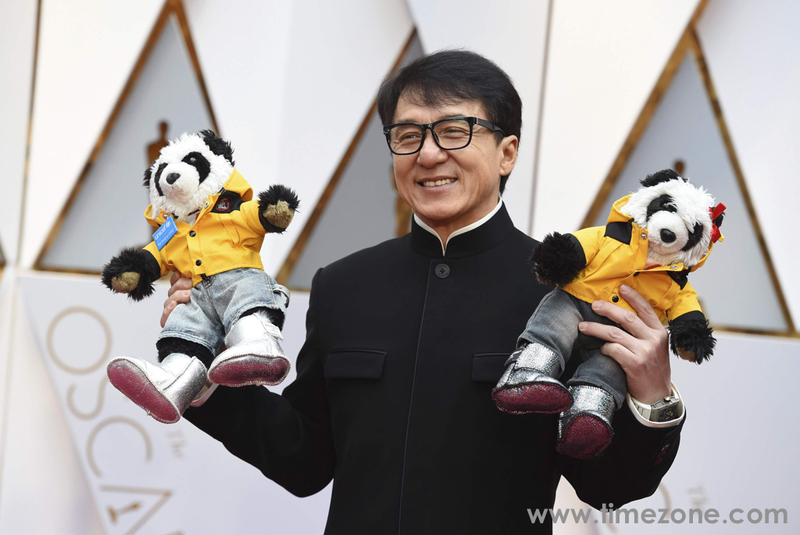 Last year, Jackie Chan received an honorary Oscar at the Governor's Awards in November 2016 for his work in over 200 movies throughout his 56-year film career. 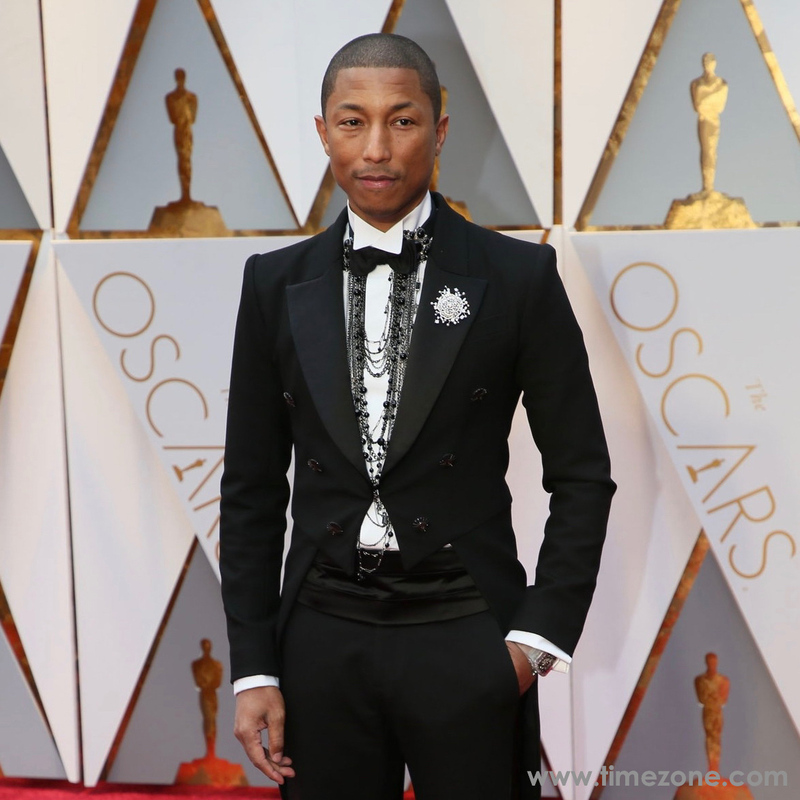 Pharrel Williams arrived on the red carpet wearing a bespoke Chanel black wool tail coat and trousers, with a white cotton shirt, Chanel necklace, bow tie, belt, and Chanel shoes. 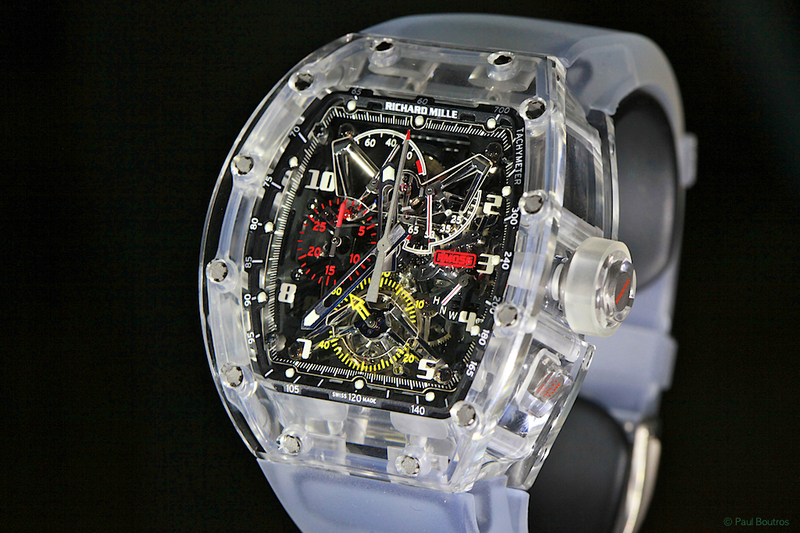 On his wrist, he wore a Richard Mille RM-056 Tourbillon Sapphire with transparent strap. 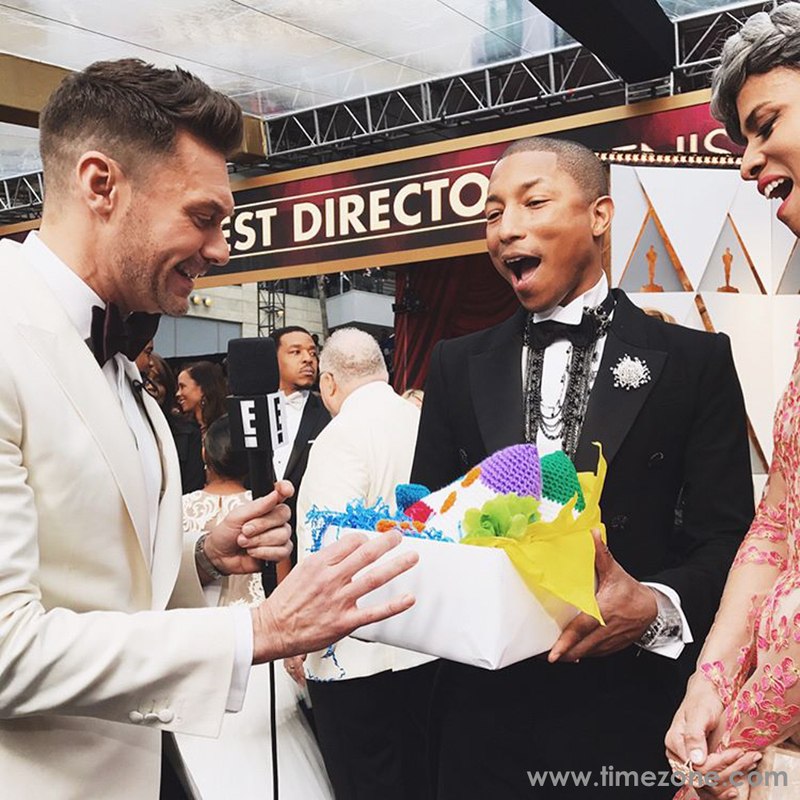 The singer/super-producer attended the ceremony for his first Academy Award nomination for best original score for the film, Hidden Figures.